Carl R. Thien was born in New York, and retired to Florida. He is the grandfather of Justin Taylan, creator of PacificWrecks.com. During the war, he served as a combat photographer with the 201st CIC Corps which served in Australia, New Guinea and the Philippines. Thien shares some of his recollections about New Guinea. On April 22, 1944 Thien participated in "Operation Reckless" the amphibious landing at Hollandia in Dutch New Guinea. 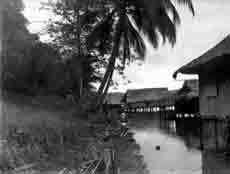 The next day a few of us went ahead of the main party and got to the shores of Lake Sentani where an area was chosen for I Corps advanced Command Post. Some natives were recruited by Dee Paulus and Sgt. Kambi to clear the area before the main body would arrive. When we went back along the road to find the main body, it was decided to try to make the Lake before dark and just hunker down till the camp could be set up the following day. As the chosen camp area was under a thick grove of coconut trees, it was hard to spot from the air, and allowed us a night of relative quiet except for the sound of "washing machine Charlie" flying through the night to search us out. The camp area had been the home of a Dutch planter and had a small bungalow near the shore of the Lake. This building, with a large amount of cleaning made an ideal quarters for Eichleberger and a few of his personal staff. Trails from the camp led in several directions, including the main trail to Sentani Airfield. The day after we arrived, a crew of hundreds of natives came into camp and started to cut underbrush and clear the ground of debris left by the Japanese. A few bodies were buried and abandoned supplies were distributed to the natives who helped in the cleanup. Drums of gasoline were used by our motor pools, and bags of rice were given to the natives. CIC was charged with examining all supply dumps to look for booby traps, which led to our stocking up on sake, crabmeat and coffee. Cook got a report from G-2 that an infantry unit had found what they thought was a Japanese Radar unit on a hill overlooking Tanamerah Bay. We went back down to the beach and finally up in the hills to find the unit. It did indeed look like a portable Radar, so we picked it up and brought it back to Headquarters. After careful examination by some scientific types it was concluded that this was indeed, a Radar set, but the lack of sophistication of the unit seemed to show that Japanese research still had a long way to go before reaching the capability of the American system. "[Captain] Cook got a report from G-2 that an infantry unit had found what they thought was a Japanese radar unit on a hill overlooking Tanamerah Bay. We went back down to the beach and finally up to the hiss to find the unit. It did indeed look like a portable radar, so we picked it up and brought it back to Headquarters. After careful examination by some scientific types it was concluded that this was indeed, a radar set, but the lack of sophistication of the unit seemed to show that the Japanese research still had a long way to go before reaching the capability of the American system." Next, Thien participated in the battle on Biak Island, and a recon mission to Noemfoor Island. 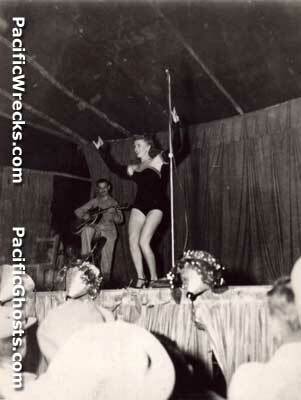 Then, returned to Hollandia for rest & recuperation prior to the Liberation on the Philippines. Thien volunteered for a night mission aboard PT 193 to locate friendly islanders on the island, to assist American forces in the upcoming invasion. 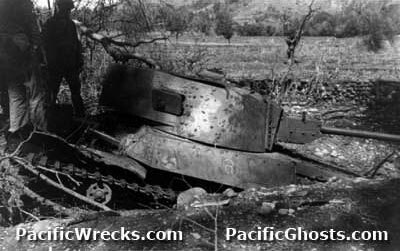 After successfully completing the mission, the PT Boat engaged three Japanese barges, setting them on fire and sinking them, before becoming caught on a reef. The boat was scuttled and the crew transferred to PT 331. 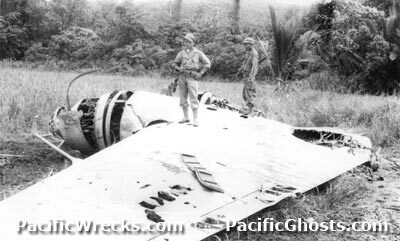 "One day, returning from a ride in an A-20, I was passing a fuel dump near the airport when [B-24D 42-72954] returning from a bombing run, was unable to reach the Sentani strip and crashed into hundreds of empty fuel drums. A few other nearby soldiers went into the dump to do what we could to help the downed flyers. Some of the empty drums were exploding, and others were starting to burn, but we could see the flyers trying to get out of the plane. We managed to bring three of them to the edge of the dump before a regular crash crew arrived and got the rest out. Several had been wounded before the crash, and couple more were badly hurt when when the plane grounded. The B-24 was still repairable after it was dragged out of the area and back to the airstrip, and we saw it the next week being worked on. We heard that most of the crew survived even though being severely wounded." 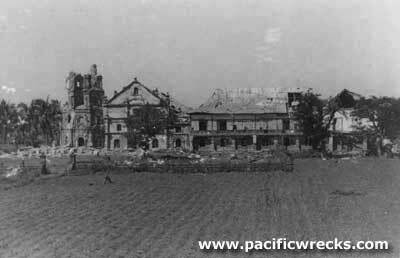 Thien landed at Lingayen Gulf on January 9, 1945 at San Fabian. 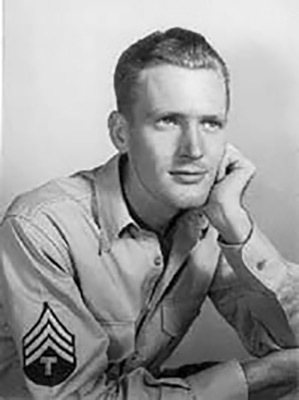 His unit advanced to Rosales, where he was based for most of the war, going on missions around San Manuel and Villa Verde Trail. He participated in the liberation of Santo Thomas University and battle of Manila. Thien passed away Florida National Cemetery at Bushnell, FL at section 1A row 8C, site 36.